A sophisticated and accessible collection of tunes showcasing the distinctive vibraphonist's special compositional voice / Beautifully spiced with Brazilian percussion. 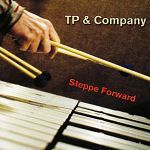 From the opening notes of “Steppe Forward” itself, Ted Piltzecker and his sextet give a clear statement of intent: Steppe Forward is going to be an upbeat, joyous and uplifting album, from beginning to end. As the closing bars of “Reunion Blues” fade away, it’s clear that the band has achieved this intention, with a lively, inventive and engaging set of tunes and some exceptional playing. A former member of pianist George Shearing’s Quintet, Piltzecker leads a young group of musicians through a varied set of tunes, all characterized by the mellow and warm sound of the leader’s vibes. All but one of the tunes is a Piltzecker composition, the exception being Horace Silver’s “Nica’s Tune,” inspired by Baroness Pannonica de Koenigswarter (friend and supporter of many great jazz musicians including Charlie Parker and Thelonius Monk). It’s a lovely arrangement, with soprano saxophonist Sam Dillon and acoustic guitarist Nick Llerandi both playing gentle but insistent solos, while Jerad Lippi’s underpinning drums are slightly more assertive and complement the lead instruments perfectly. “He Sent an Angel” is a slow and beautiful tune, with Piltzecker playing the melody line and keeping things simple but, at the same time, creating an intimate and personal relationship with the song. Some of the finest music on the album arises from the interplay between Piltzecker and Dillon. This is at its best on “Kalunga,” with the vibraphonist and saxophonist almost indistinguishable at times as they deliver its lilting, flowing melody. “Why So Long?” doesn’t quite match the standard of the rest of the album. It’s pretty, and Piltzecker’s solo is one of his best, but it lacks a strong theme and, at almost seven minutes in length, overstays its welcome. The album’s high standard returns for “Reunion Blues,” though; a bop-influenced number that features a smooth, brightly toned tenor solo from Dillon, fluid electric guitar from Llerandi, and a chance for bassist Mike Kujawski to shine on his own solo. Steppe Forward is an accessible album, with a warmth and humanity throughout. 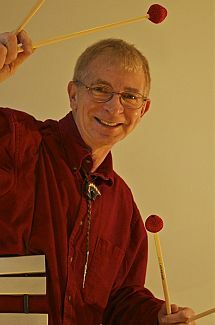 Piltzecker and his fellow musicians are talented and stylish, capable of swinging or of creating a more emotive and reflective atmosphere. His tunes are a delight, and the band brings out their full potential. The vibraphone has a hard time escaping its associations: you hear it, and you think real neon, and tail fins, and scotch on the rocks.